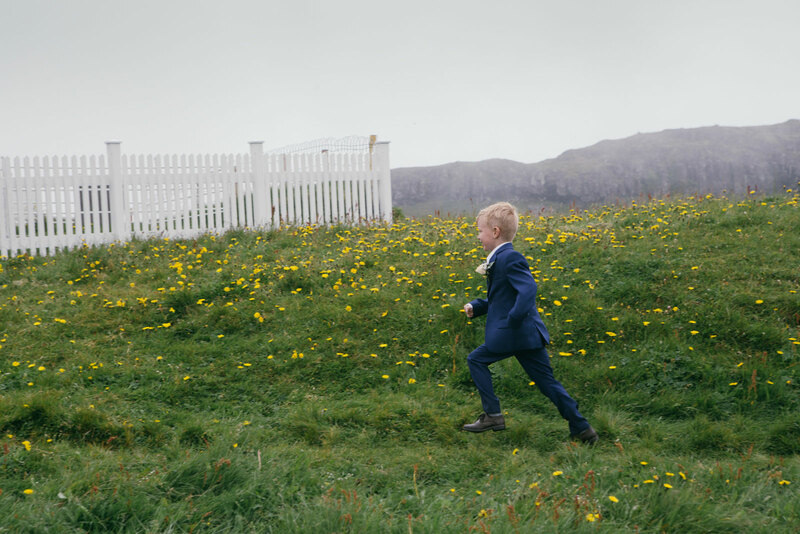 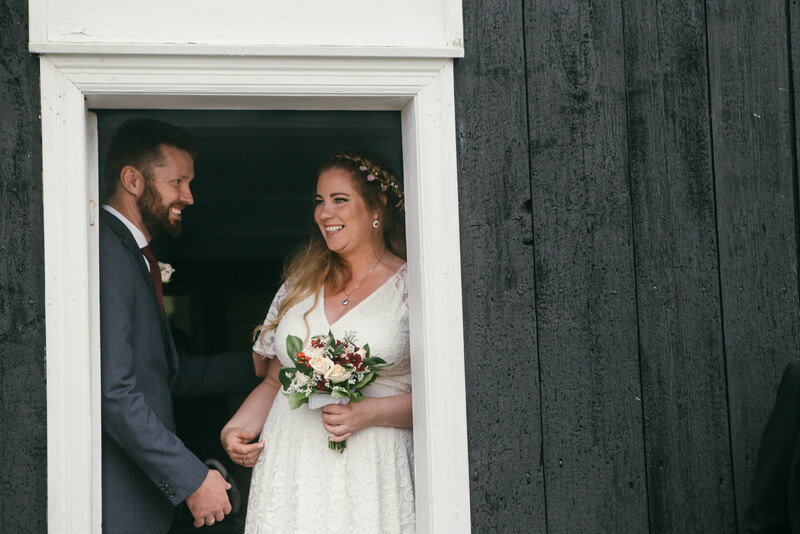 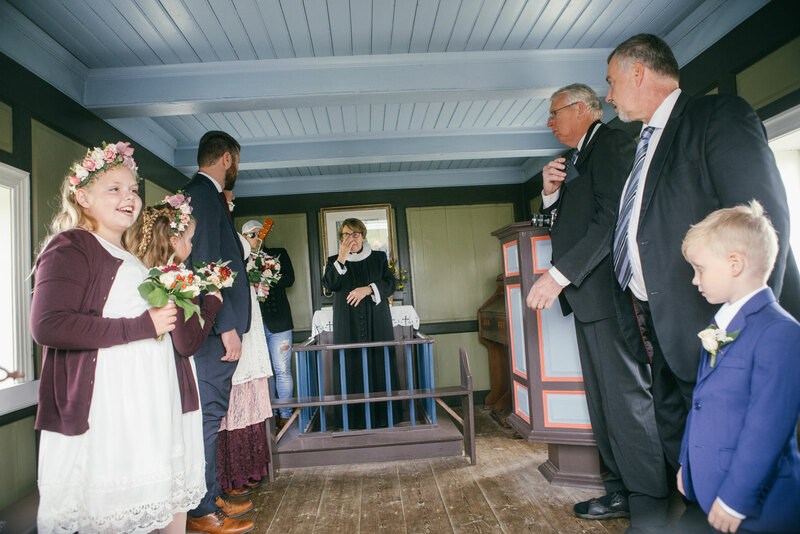 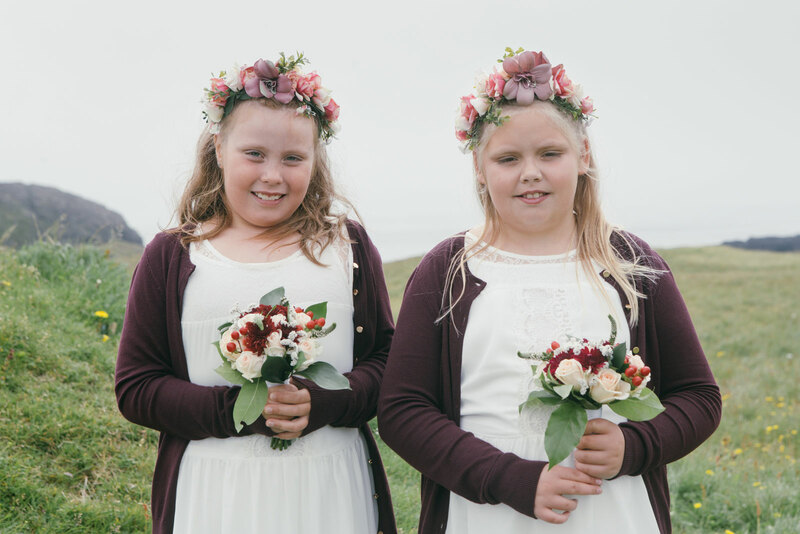 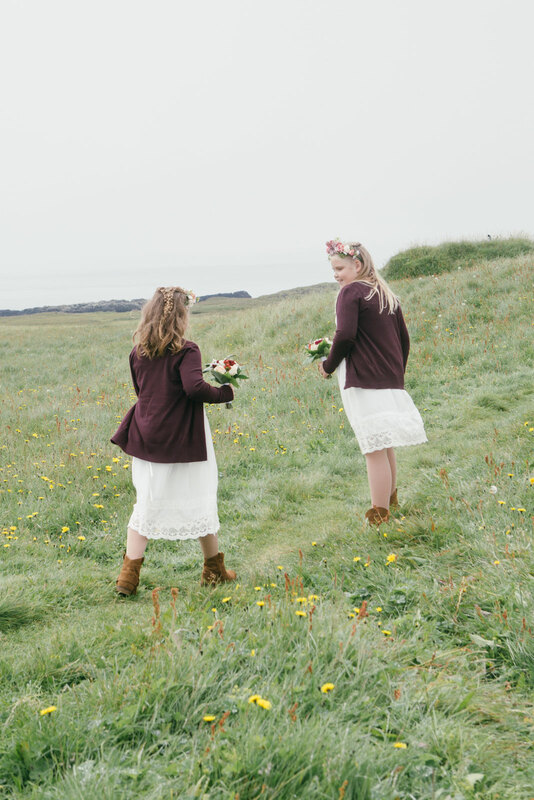 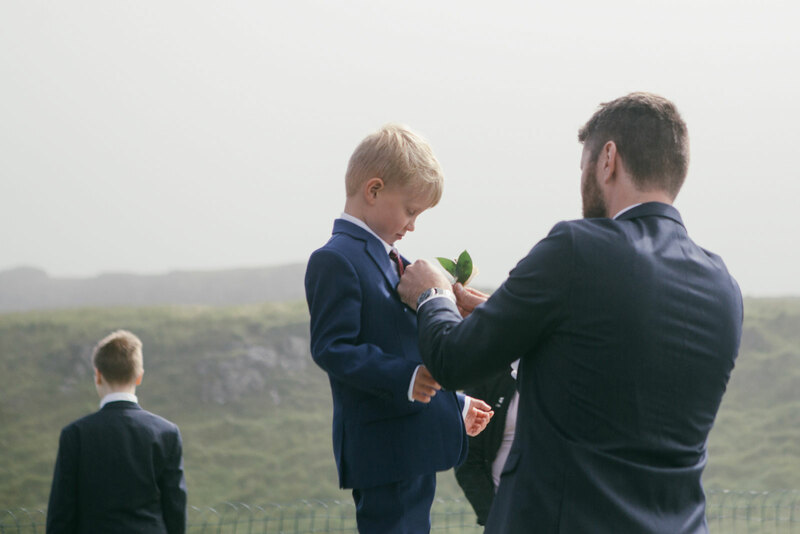 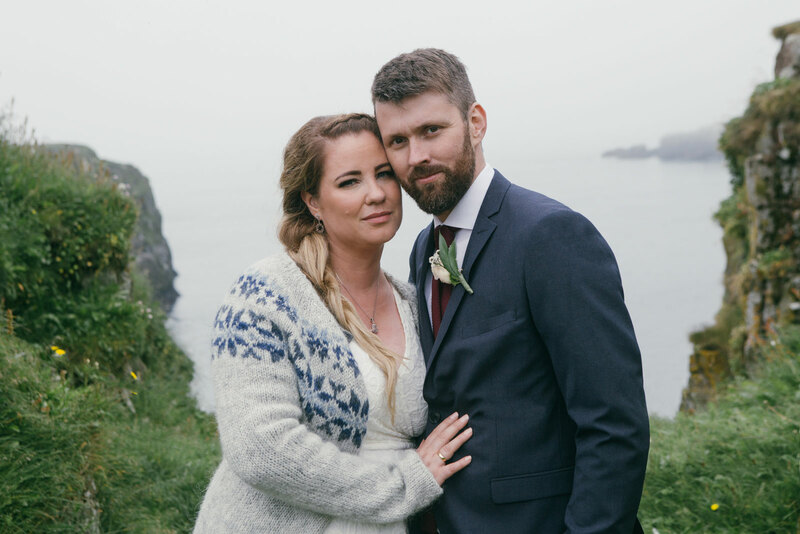 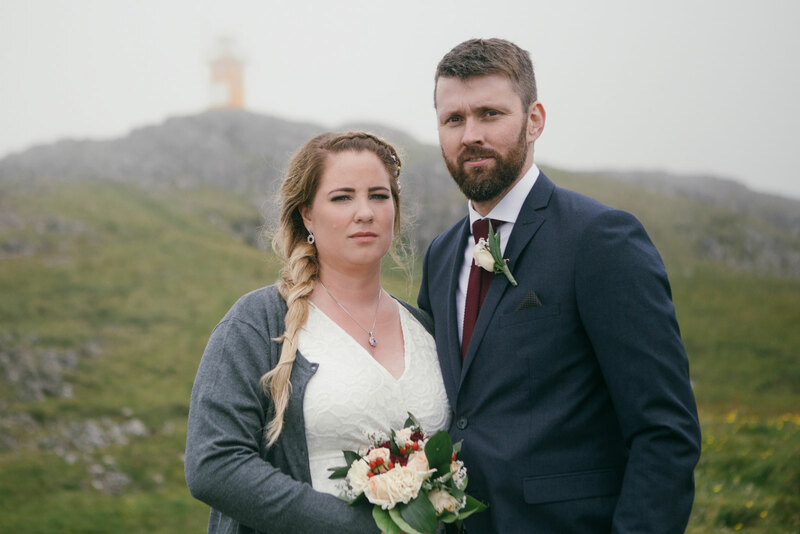 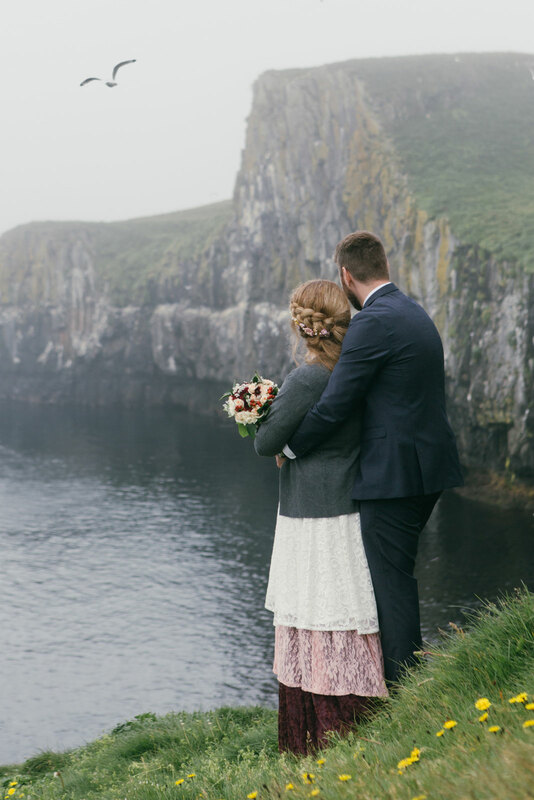 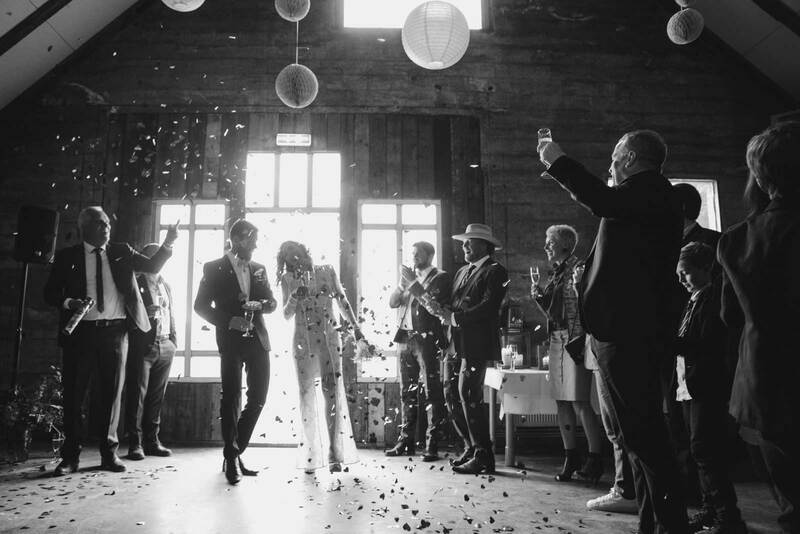 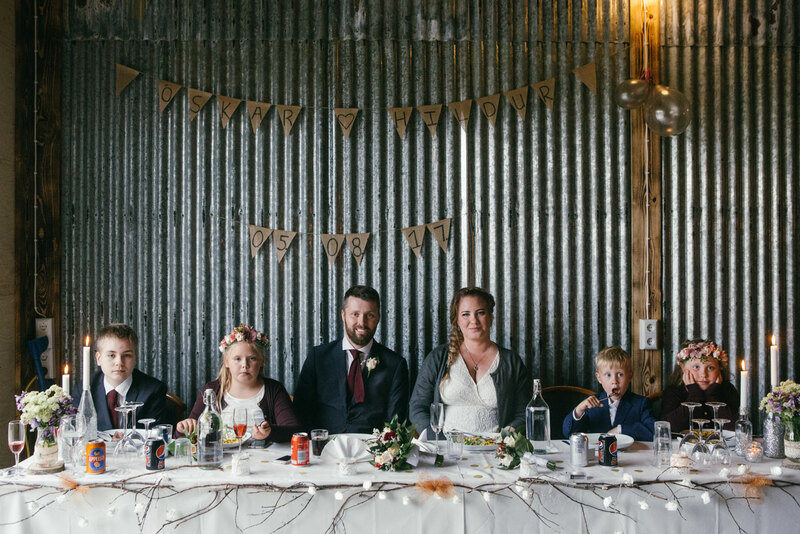 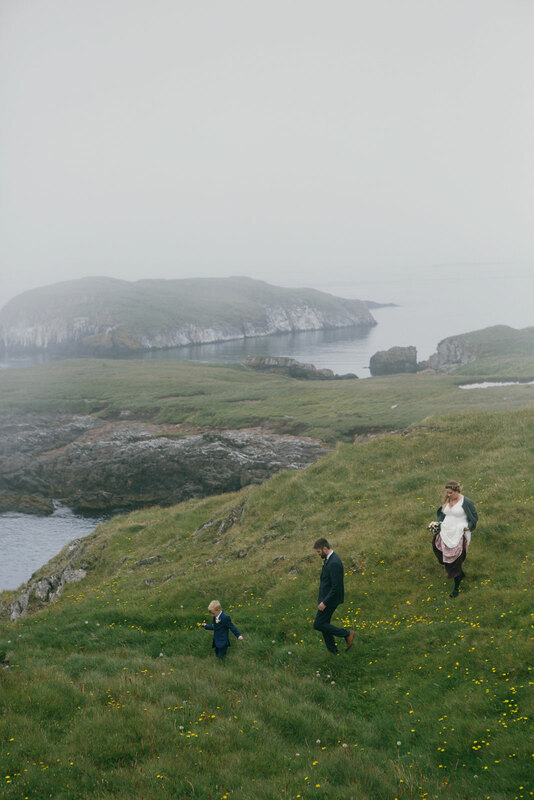 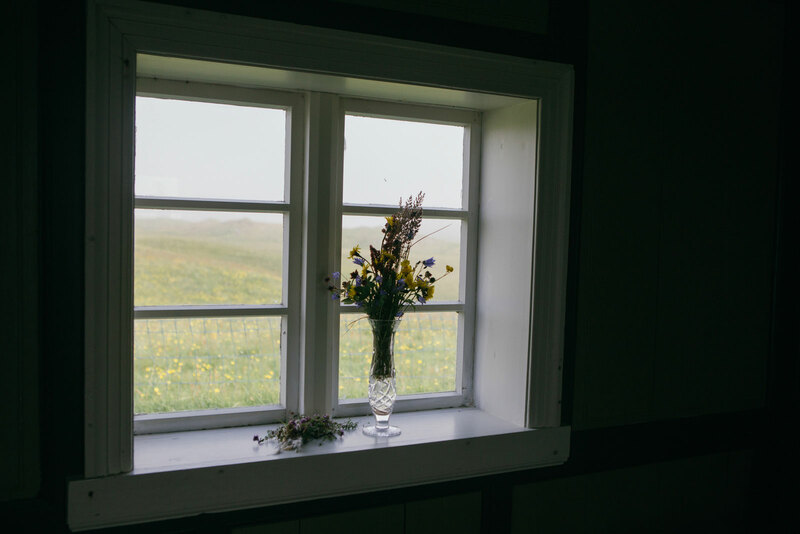 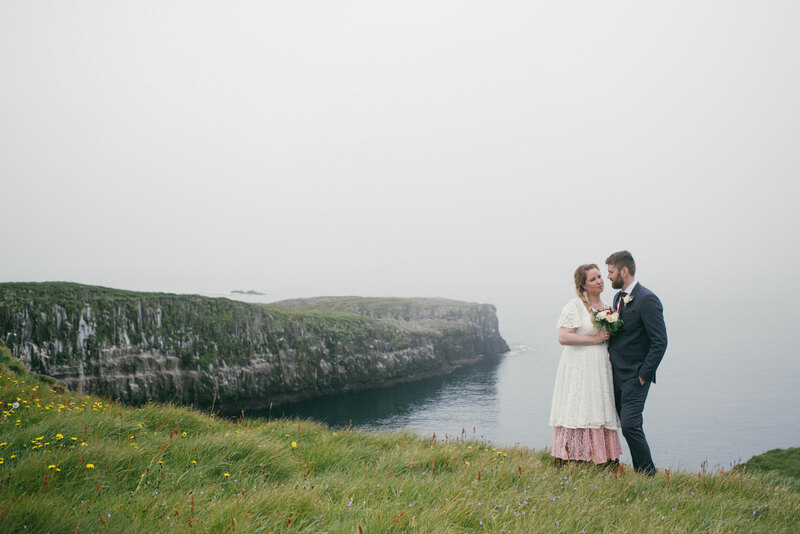 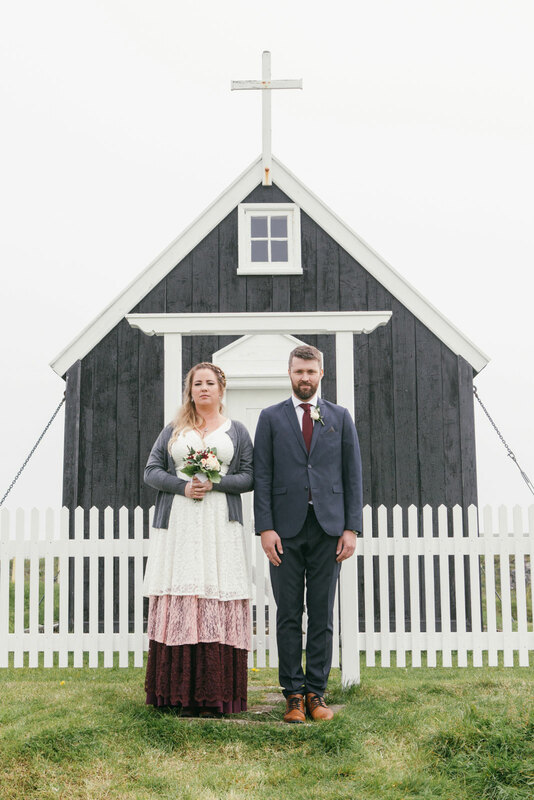 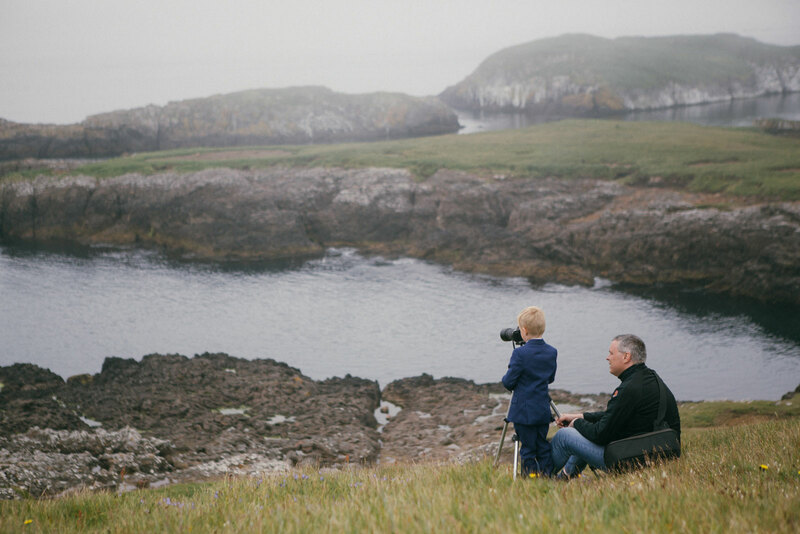 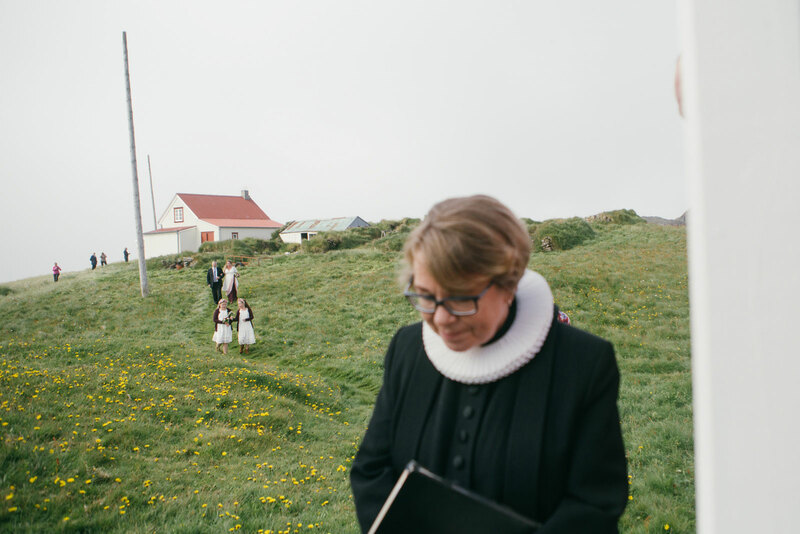 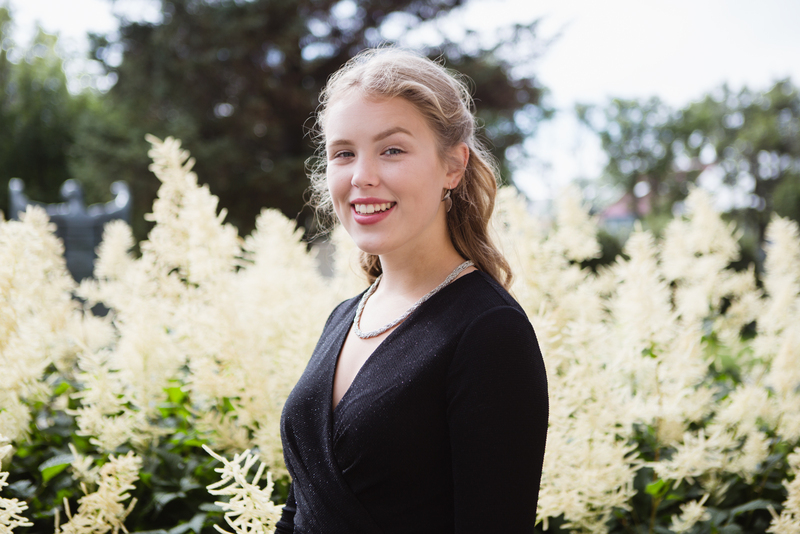 Hildur & Óskar are the first couple to be married on the small and remote island Papey in East Iceland since 1963. 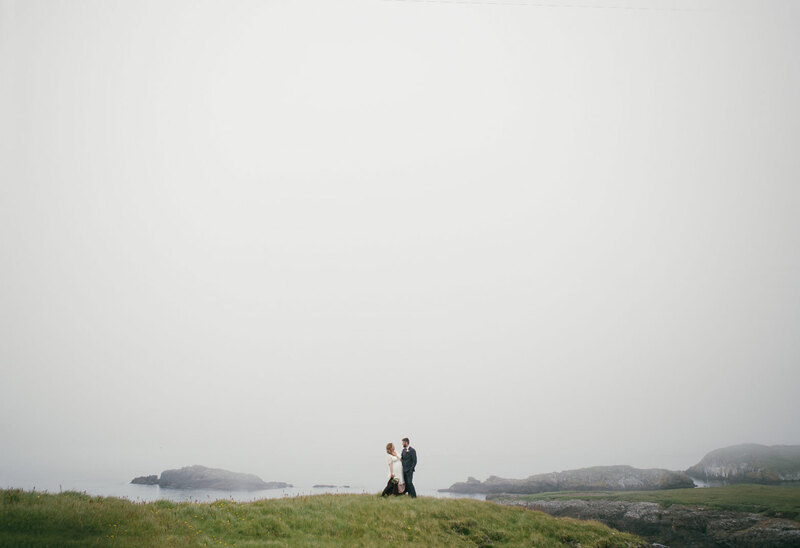 I got to photograph their wedding on Papey last august. 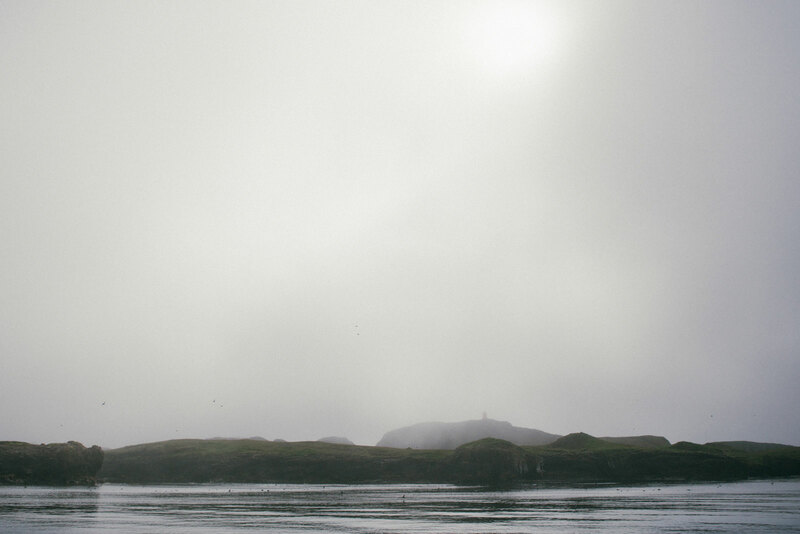 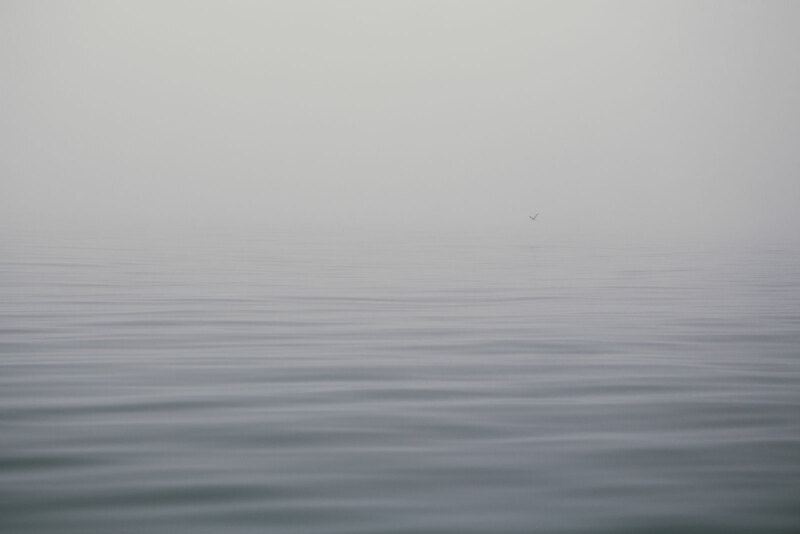 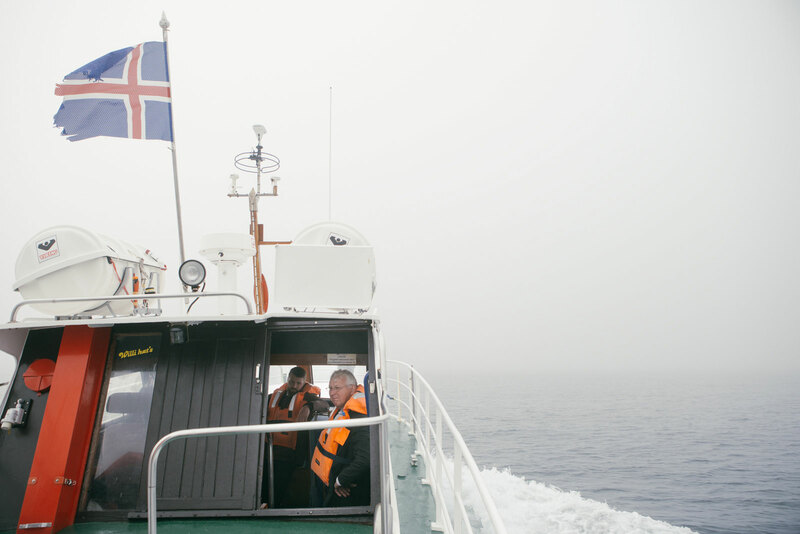 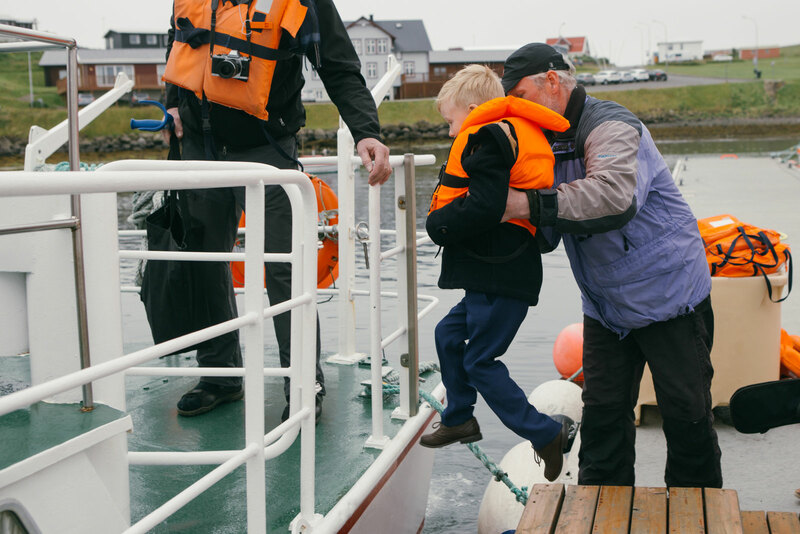 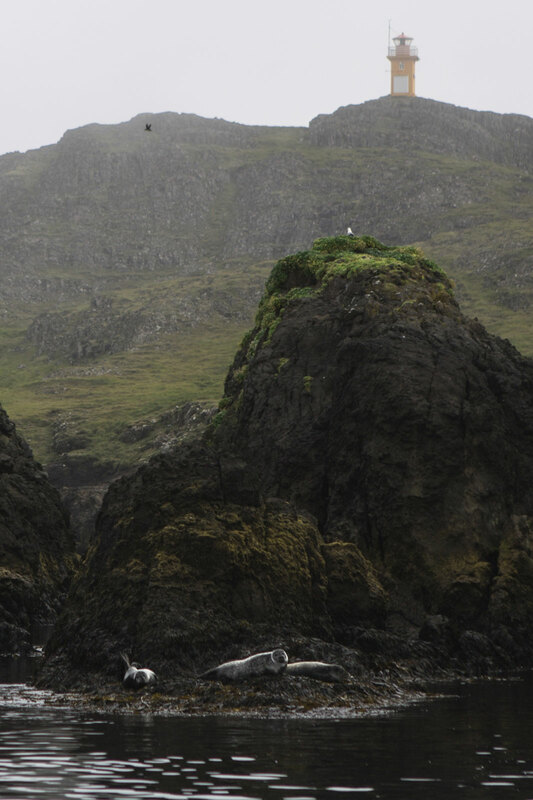 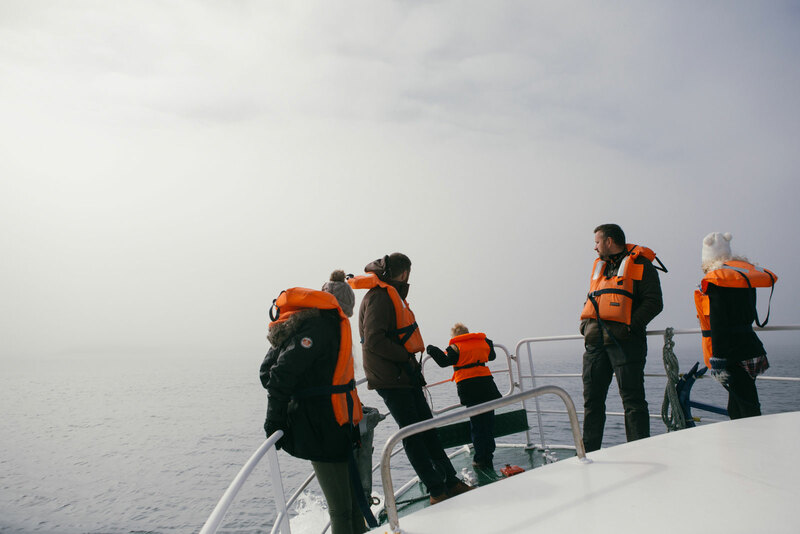 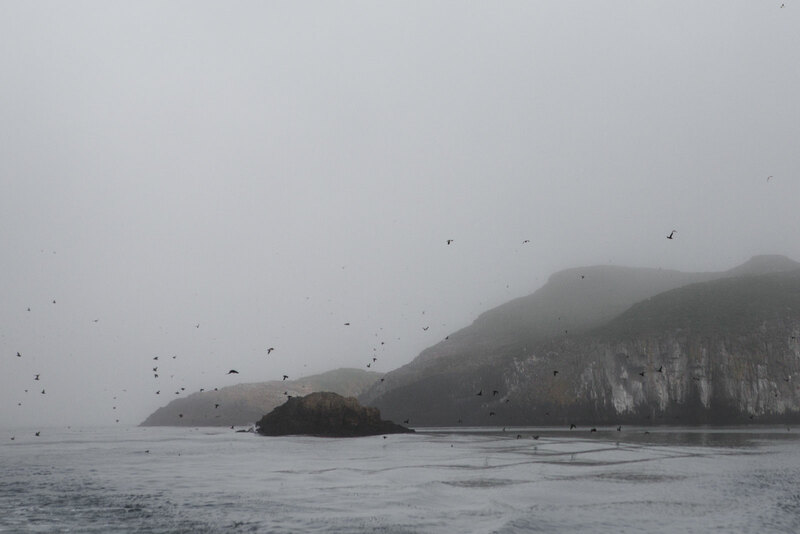 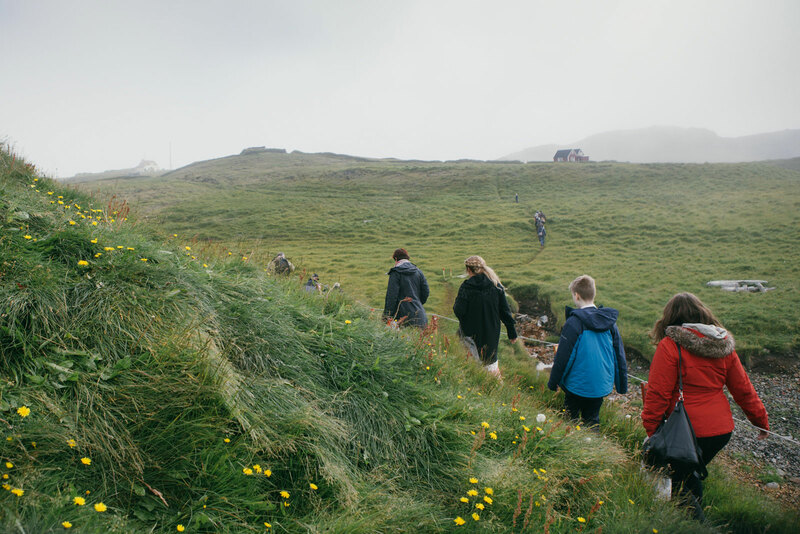 It took us one hour to sail to Papey from Djúpivogur, past seals and puffins and black cliffs rising from the pale blue sea which almost collided with the sky in the fog. 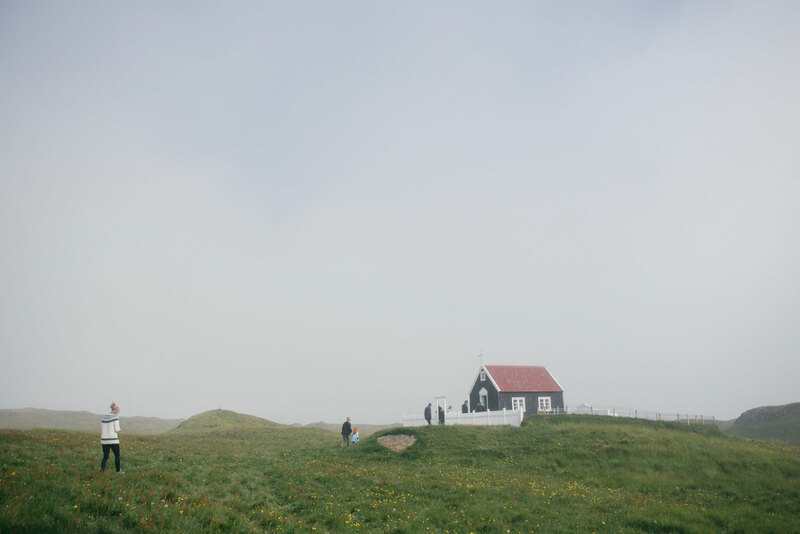 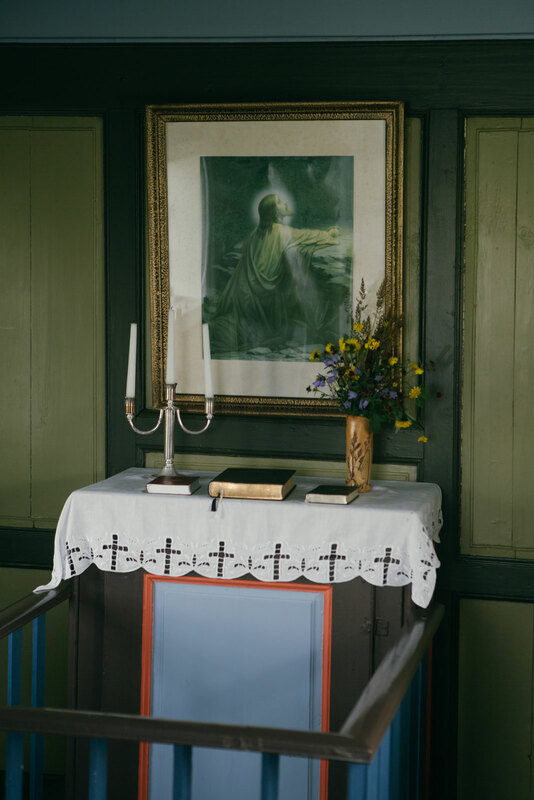 Papey is a small island which hasn’t been inhabited since 1966 with only a lighthouse, weather station, a couple of summer cabins and one of the smallest churches I’ve ever seen and is supposedly one of the oldest, if not the oldest church built out of wood in Iceland. 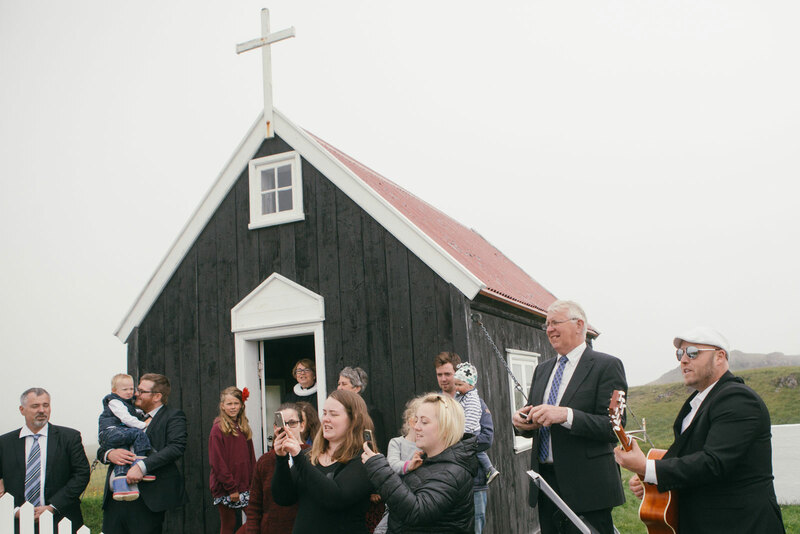 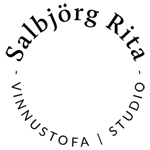 The church was so small that inside, there was only room for the bride and groom, their children, parents, the priest and the musician. 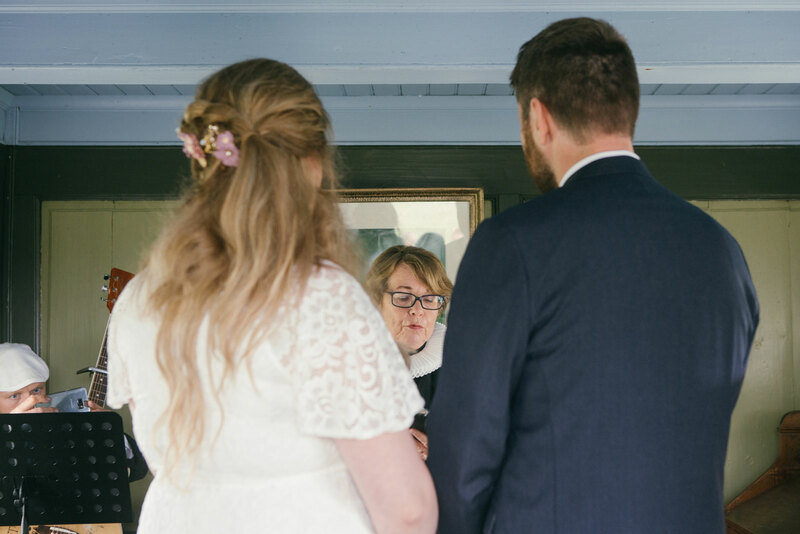 I literally had to stand in the doorway to photograph the ceremony. 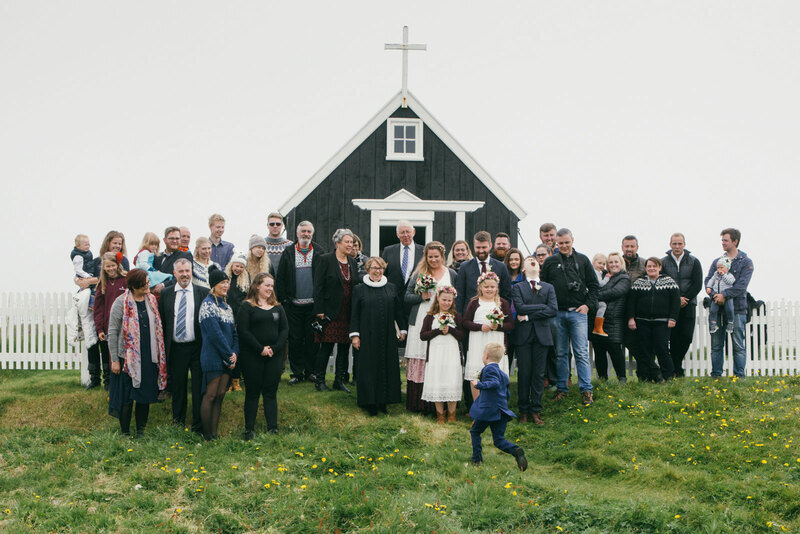 Between shots I tried to step out of the way so the guests outside could catch some moments of the ceremony. 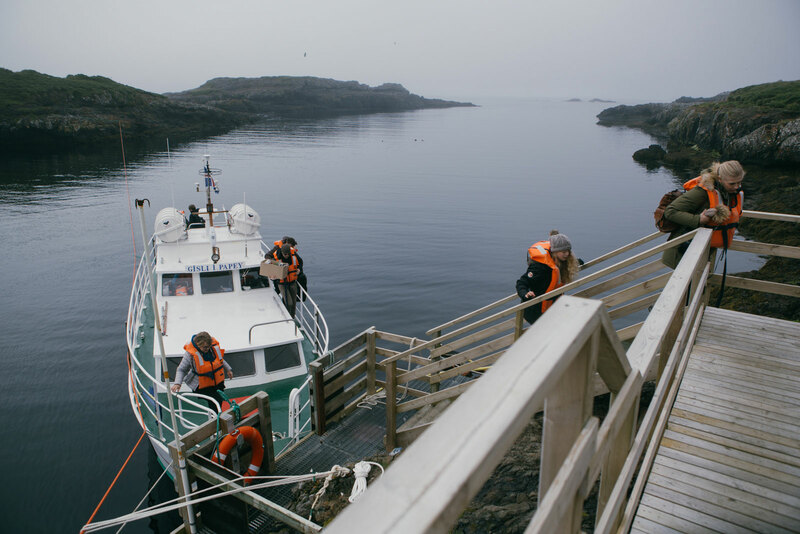 A unique, beautiful and tranquil experience on a tiny isolated island.